Consumer confidence bounced back in May, but households were a bit pessimistic regarding their short-term income prospects even as they expected strong job growth to persist, which could restrain consumer spending. The Conference Board said its consumer confidence index increased 2.4 points to a reading of 128.0 this month from a downwardly revised 125.6 in April. The index was previously posted at 128.7 in April. U.S. financial markets were little moved by the data amid a deepening political crisis in Italy. 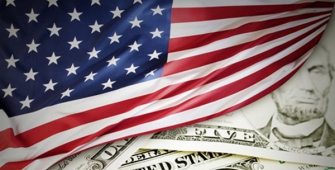 The dollar climbed to a 10-month high versus the euro, while U.S. Treasury yields dropped. Stocks on Wall Street fell, with the S&P 500 and Dow Jones Industrial Average hitting near three-week lows. The Conference Board's so-called labor market differential, derived from data on respondents' views on whether jobs are plentiful or difficult to get, rose to 26.6 in May, the best reading since May 2001, from 22.7 in April. That measure, which closely correlates to the unemployment rate in the Labor Department's employment report, suggests that labor market slack continues to shrink. However, consumers were less upbeat about their short-term income prospects. The share of consumers expecting an improvement in their income dropped to 21.3 percent in May from 21.8 percent in April. The proportion expecting a decline rose to 8.2 percent in May from 7.9 percent in the previous month. A separate report showed the S&P CoreLogic Case-Shiller composite index of home prices in 20 metropolitan areas rose 0.5 percent in March after climbing 0.8 percent in February. House prices were up 6.8 percent in the 12 months to March after rising by the same margin in February. The strong gains are at odds with recent data which had suggested a cooling in house prices. The Federal Housing Finance Agency reported last week that house prices were slightly higher by 0.1 percent in March from February. Last edited by fxtester; 11-01-2018 at 14:48. German consumer price inflation jumped in May to reach the highest level in over a year, data showed, surpassing the European Central Bank's rate target of just under 2 percent for the eurozone as a whole. 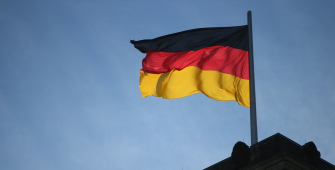 German consumer prices, harmonised to make them comparable with inflation data from other European Union countries, increased by 2.2 percent year-on-year after a rise of 1.4 percent in the previous month, the Federal Statistics Office said. Energy prices increased at an annual rate of 5.2 percent, driven by a sharp rise in the price of crude oil. “A major reason for the increase in the inflation rate is the price development for liquid fuels (heating oil and motor fuels),” Destatis said. Food prices were also up markedly, to a year on year pace of 3.5 percent. “German headline inflation won't surge from here, but it could nudge a bit higher in coming months, before easing into year-end,” said Claus Vistesen, chief eurozone economist at Pantheon Macroeconomics. The stronger-than-expected inflation figures are likely to play into the hands of policy hawks, including Bundesbank head Jens Weidmann, who want the ECB to end its asset purchases this year and see room for a rate hike towards the middle of 2019. The U.S. on Thursday said it was moving forward with tariffs on aluminum and steel imports from Canada, Mexico and the European Union, concluding a two-month exemption and potentially paving the way for a trade war with some of America's top allies. 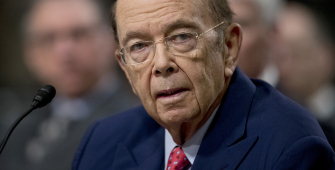 Commerce Secretary Wilbur Ross told media on a telephone briefing on Thursday that a 25 percent tariff on steel imports and a 10 percent tariff on aluminum imports from the EU, Canada and Mexico would become effective at midnight on Friday. He said that the U.S. looks forward to continue negotiations with Canada and Mexico, as well as the European Commission with regards to other issues that needs to be resolved. Ross told reporters that talks with Canada and Mexico over overhauling the NAFTA were taking longer than they had expected. Negotiations with Europe had made some headway but not sufficient for additional exemptions, he said. European Commission President Jean Claude-Juncker reacted to the announcement, stating that the EU will impose countermeasures on the U.S. He added that the European Commission will immediately introduce a settlement dispute with the World Trade Organization. The newly announced tariffs are also seen to hinder negotiations between the US, Canada and Mexico on NAFTA. Both Mexico and Canada promised retaliatory tariffs in response to U.S. levies. Canada and Mexico retaliated against America's move to impose additional duties on steel and aluminum imports and the European Union had its own countermeasures prepared, reviving concerns of a global trade war. U.S. Commerce Secretary Wilbur Ross announced the tariffs in a telephone briefing on Thursday. The move ends months of uncertainty regarding possible exemptions and indicated a toughening of the Trump administration's stance on trade negotiations. Ross told reporters that a 25 percent tariff on steel imports and 10 percent tariff on aluminum imports will be imposed on the EU, Canada and Mexico from midnight on Friday. The measures, which were first announced by President Donald Trump in March, received criticism from Republican lawmakers and the nation's top lobbying group. It also affected global financial markets. Canada and Mexico, currently engaged in talks with the US to overhaul the North American Free Trade Agreement immediately responded to the announcement. Canada, the biggest supplier of steel to America, said it will impose tariffs covering C$16.6 billion on imports from the U.S. It will include whiskey, orange juice, steel, aluminum and other products, according to Canadian Foreign Minister Chrystia Freeland. 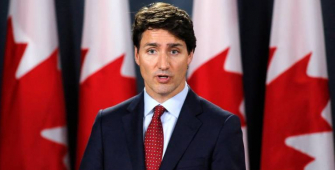 In a news conference, Prime Minister Justin Trudeau criticized the decision made by the Trump administration and was clearly going to result in retaliatory measures. Mexico announced what it called an “equivalent” measures on a wide range of U.S. farm and industrial products. The measures target pork legs, apples, grapes and cheese as well as steel and other products, which will be implemented until the U.S. government removes the tariffs, according to Mexico's Economy Ministry. The EU threatened tariffs on Harley Davidson motorcycles and bourbon, measures aimed at the political bases of U.S. Republican lawmakers. 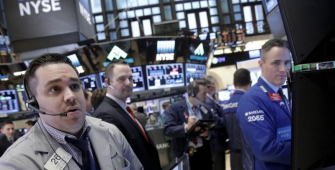 Wall Street's three benchmark indexes rallied on Monday, led by broad gains in tech stocks, driving the Nasdaq to a record closing high as investors wager on the retention of solid economic growth, while declining oil prices affected the energy sector. The Dow Jones Industrial Average edged up 178.48 points, or 0.72 percent, to 24,813.69. The S&P 500 rose by 12.25 points, or 0.45 percent, to 2,746.87.The Nasdaq Composite jumped 52.13 points, or 0.69 percent, to hit 7,606.46, a record closing high. Apple shares climbed to their highest level in history due to investor expectations on its annual developers conference and Microsoft received nods for its latest acquisition, driving the S&P 500 technology index to a record high. Meanwhile, Amazon.com outperformed among consumer stocks. The S&P 500's technology sector was the benchmark index's biggest gainer, 0.8 percent higher. According to traders, better-than-expected U.S. jobs data for ay was still a main factor to investor optimism as traders looked past recent trade war concerns. Despite the impressive jobs report, markets are worried about the U.S. government's announcement last week of steel and aluminum tariffs for Europe, Canada and Mexico, which concluded a two-month exemption. 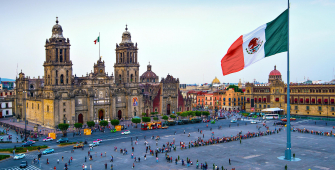 Mexico has announced new levies on U.S. imports in response to U.S. President Donald Trump's decision to impose hefty tariffs on imports of steel and aluminum. The peso fell on Tuesday after Mexico imposed tariffs on U.S. products including bourbon, apples, potatoes, cheese, and pork in retaliation to the steel duties. Mexico's peso was down 1.4 percent at 20.35 to the dollar in early trade. The announcement of tariffs ranging from 15 percent to 25 percent came as the future of the NAFTA trade deal came under new pressure from the White house. The list of U.S. products subject to fresh tariffs did not include the top two US agricultural exports to Mexico: Corn and soybeans. This would enable the animal feed products to continue to enter Mexico's domestic livestock and poultry industries. The new tariffs came after the Trump administration restated its desire to push for bilateral talks on NAFTA with Mexico and Canada. According to Larry Kudlow, economic adviser to Trump, Washington was now inclined towards such change, saying that countries that are different potentially deserves varying deals. Mexico has opposed such attempts to split the NAFTA allies. Jaime Zabludovsky, one of Mexico's original Nafta negotiators, said Trump's desire to negotiate separately was senseless and also put the interests of US private sector at risk. Oil prices rallied on Thursday to pare some of the prior session's losses, propped up by declining exports by OPEC-member Venezuela. Brent crude futures traded up 33 cents or 0.4 percent, to $75.69 per barrel. Meanwhile, U.S. WTI crude rose 33 cents or 0.6 percent at $65.11 per barrel. It finished the prior session 1.2 percent lower at $64.73 per barrel. Venezuela, a member of the OPEC,is lagging in shipping crude to clients from its main oil export port for almost a month, according to Reuters data, as chronic postponements threaten to breach state-run PDVSA's crude supply contracts if they are not quickly delivered. Tankers waiting to load over 24 million barrels of crude,almost as much as PDVSA sippined in April, are waiting in the country's main oil port. Reuters data showed that the backlog is so serious, PDVSA advised some customers it may announce force majeure, allowing it to temporarily stop contracts if they do not take on new delivery terms. Venezuela's supply troubles come amid voluntary production cuts by OPEC which have been implemented since 2017 in order to rebalance the market and drive up prices. 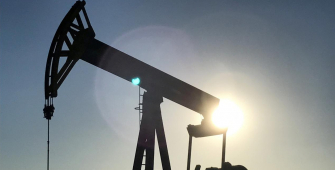 The cartel is slated to meet at its headquarters in Vienna, along with top producer but non-OPEC member Russia, on June 22 to talk about production policy. Iran, a member of OPEC, said on Wednesday that a production boost was not up for consideration as the market was steady and prices were good. The Australian Dollar headed lower after May’s Chinese trade data crossed the wires. 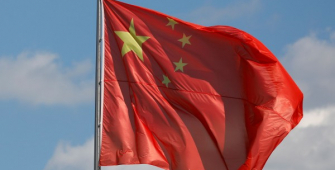 In both Yuan and US Dollar terms, China’s surplus missed expectations. This suggests a lower-than-anticipated boost to local economic growth as net exports are one of the four components of GDP. However, in both measurements, exports and imports rose above estimates.